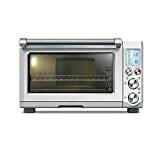 There’s a very good chance that you already own a microwave, and there’s also a good chance that you’ve heard of convection ovens (even if you’re not exactly sure what they do). However, you might not have heard of convection microwave ovens, which combine the two technologies. They use microwaves to cook food, but also use convection—in the form of fans that increase air flow, just like in a convection oven—to allow for even faster cooking as well as browning of food, which doesn’t happen in most microwaves. If you’re in the market for a new microwave, a convection model might be the way to go, and here’s how to find a good one for your kitchen. 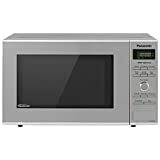 Digital: Digital microwaves use push-button interfaces, which allow for maximum ease of use and control. Dial control: Decidedly more old-school, microwaves with dials instead of push-button controls are actually very easy to use, and add a bit of a retro flair to the machine’s look. Functionality: Convection microwaves combine two technologies—and can, according to their manufacturers, carry out a wide range of cooking functions. At the same time, there’s a difference between doing different jobs and doing different jobs well. The best models do just that, combining the technologies and providing home cooks with excellent results. 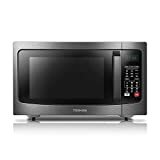 Intuitive interface: Since convection microwaves function differently than traditional models, it makes sense that their controls will be slightly different. The manufacturers of better microwaves help to make up for this with simple, easy-to-understand controls. 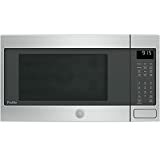 Power variability: All microwaves have power settings, although sometimes they provide the feeling of control more than actual control. Better brands allow users to choose from a wide range of power settings, so that they can defrost or cook any item perfectly. Durability: With some microwaves, reviewers mention parts failing after a short period of use. The best models don’t have that problem, however, and can be counted on to provide cooks with years of reliable service. Wattage: When you look at the microwave’s specifications, be sure to check out its wattage—that will give you a decent indication of its cooking power. Size: Another thing to look out for is the cubic footage; regardless of how big the oven is from the outside, what matters is how much cooking space there is on the inside, and you’ll want to be sure to choose a model that has enough room to handle all of your cooking needs. 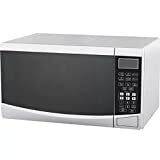 Functions: Convection microwaves come with a number of cooking functions that go beyond what you might expect from a traditional microwave (for instance, some can even bake); think about how you like to cook at home, and choose a model that does what you need it to do. Add-ons: Some ovens come with additional cooking tools (for instance, a grill pan). 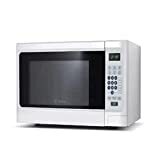 While getting a microwave that cooks your food properly is the main priority, you might want to see what additional tools would be useful for you as well. 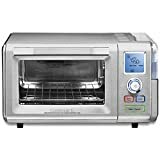 Breville: Breville is an American manufacturer of home appliances. Founded in 1957 as a home goods retail operation, the company later expanded its production, and today is known for manufacturing several high-end kitchen appliances. Sharp: Sharp is a Japanese electronics company. Founded in 1912, it produces audio equipment, home appliances, cell phones, and other electronic equipment. Cuisinart: Cuisinart is an American company that has been one of the world’s leading producers of kitchen equipment since its founding in 1971. The company is perhaps best known for its food processors, but it also manufacturers mixers, microwaves, and a host of other gadgets that make cooking easier. GE: General Electric is an American company that has been at the forefront of technological advances since it first opened in 1892. Today, the company is one of the most diverse corporations in the country, with companies and production facilities that service virtually every corner of the economy. Kenmore: Kenmore is an American appliance manufacturer. The brand was founded in 1927, and has since expanded to manufacturing appliances for every room in the home.